Freshwater Brown Trout range in colour from largely silver with relatively few spots and a white belly, to the more well-known brassy brown, fading to creamy white on the fish's belly, with medium-sized spots surrounded by lighter halos. 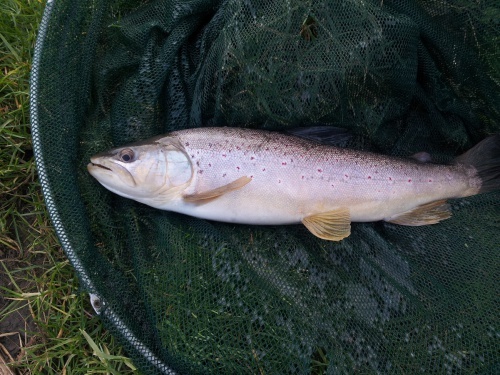 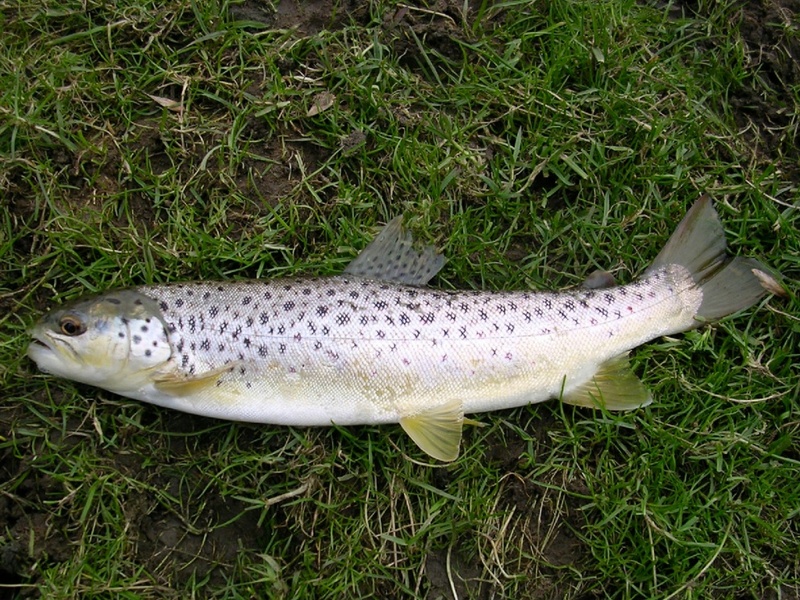 Sea Trout and Brown Trout are the same species. 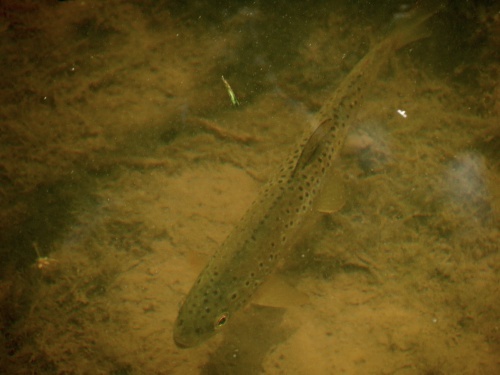 A combination of genetics and environmental factors (principally lack of food), will mean that some trout will go to sea to feed before returning to spawn. 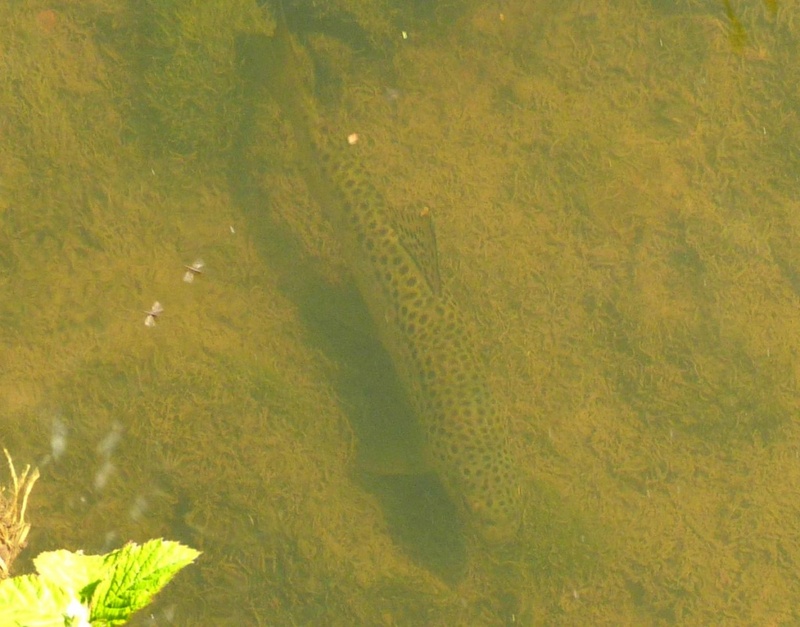 This is called an anadromous lifestyle. Widespread and fairly frequent in Britain. Red Data Book species. 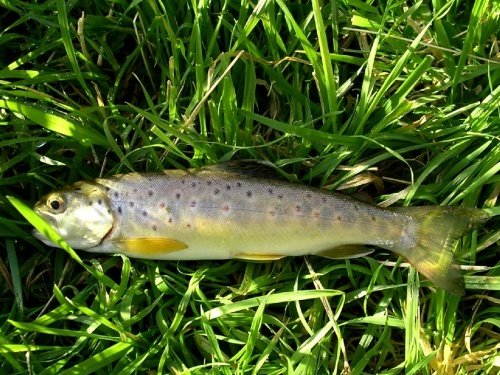 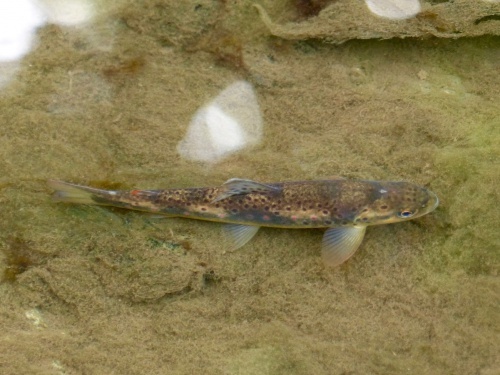 Fairly frequent in Leicestershire and Rutland.Found in the cleaner rivers and streams, including the upper Soar, Chater and western Sence; mainly introduced/restocked in lakes and rivers, the pure native breeding populations (Salmo trutta fario) probably only surviving in fast flowing streams in Charnwood Forest. young fish showing parr markings.